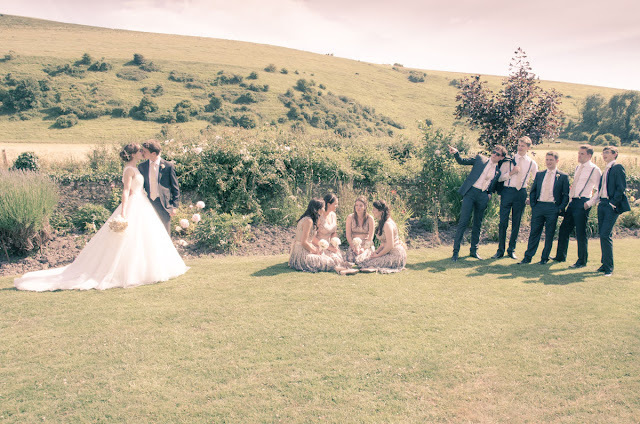 We look at the story behind the picture of some of professional wedding photographer David Peake's favourite wedding photos. 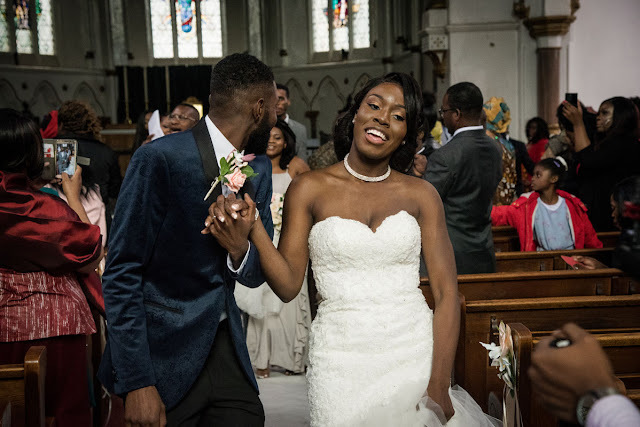 Reportage, or documentary style, is all about capturing the moments that make the wedding gallery a story instead of just a collection of images. This was taken as we were setting up for a portrait of the couple. I like the candid nature of the photo, and how it shows whose day it really is: everything revolves around the bride. The couple absolutely loved it as they felt it had a behind the scenes feel. I didn’t come up with the composition of this image myself - it was very much the bride’s idea. I was very pleased to be able to get the photo she wanted – so much so that I received a handmade thank you card from her after the wedding. On very sunny days people often remark that I’ve been lucky with the weather, when actually I’m working out how to deal with harsh light and deep shadow. Sometimes you can make a real virtue out of an obstacle though. I felt a stark, dramatic image would work for this couple. My wedding work always features a lot of the little details that make up a wedding day. I think that’s how people look at scenes, picking out and putting together objects to make a big picture. The wedding rings are a very personal part of the day as couples choose a design that they believe reflects them. Being worn every day makes them a permanent reminder of the ceremony so I like to record a moment just before they are put on. 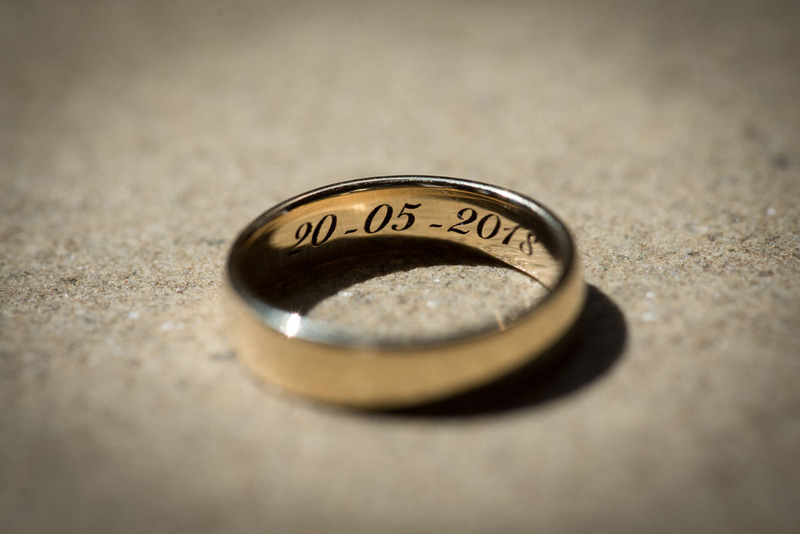 In this case, there’s engraving that’s about to be hidden away on the bride’s finger. This is another example of working within the constraints of the day. The wedding rings are very important to me as they symbolise so much. 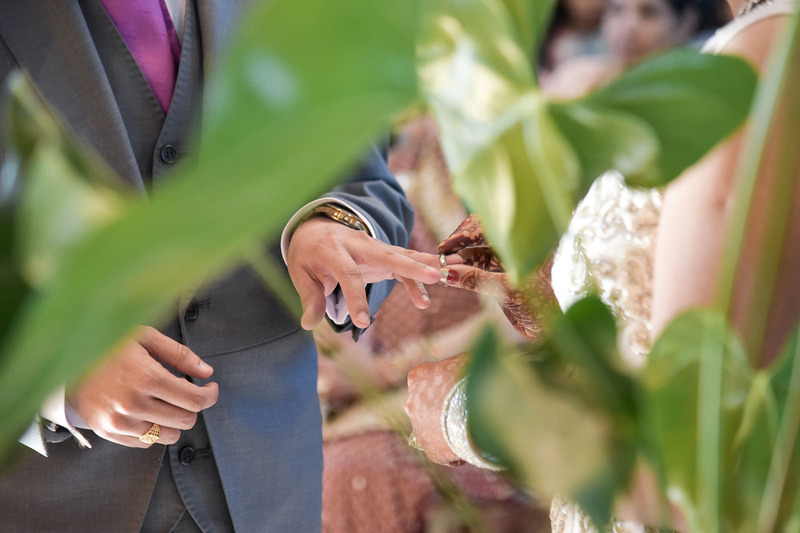 I always try to get a great shot of them being exchanged, but on this occasion I was working in a small and crowded ceremony room, hemmed in a little by a videographer and with a large plant on the desk that I had to shoot around. I thought it might really hamper the view of the ring exchange, but then I realised I could use the leaves to frame the hands. In a way it’s similar to a landscape composition, but on a vastly different scale. I just like the emotion and the movement in this image. They were literally dancing down the aisle and I was lucky enough to get this moment where the bride is surrounded by, yet partly oblivious to, all the hubbub around her. She just seemed very, very happy. In this sort of situation, it's all about positioning yourself and seeing what happens in front of you. 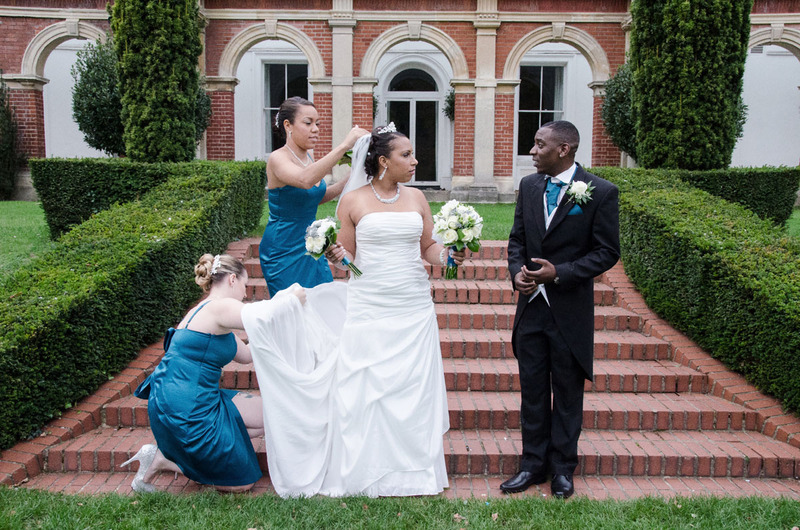 David is a professional wedding photographer, who has been taking wedding photos for 6-7 years. David was inspired to move into the daunting world of professional photography through experience gained as an assistant. Having always loved photography from a young age, he was encouraged to go pro when the assisting became 'co-shooting' - and he's never looked back since. And the most rewarding part of the job? That's simple - making people smile! See more of David's work on his website. What's in a Wedding Photographers kitbag? Enjoy this article? Have suggestions or comments about Park Cameras blog content - add them below!